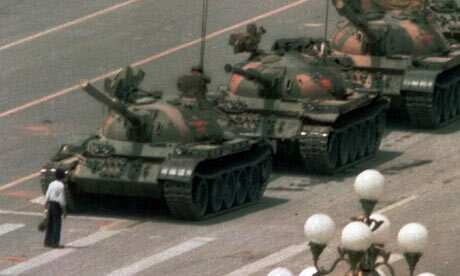 The Uyghur American Association (UAA) stands with Chinese democrats on the anniversary of the Tiananmen Square killings to express its support for the ideal of freedom voiced by the ordinary citizens of China 25 years ago. UAA repeats its call to the Chinese government to embrace democratic reforms and respect the rights of all Chinese citizens. Until the Chinese government provides a full and fair account of the events of June 4, there will be no foundation for the pursuit of freedom and democracy in China today. “The slaughter of innocent people on Tiananmen Square on June 4, 1989 is an atrocity that should never be forgotten. That the Chinese Communist Party has never acknowledged responsibility for murdering peaceful protestors shows the disdain it has for its citizens and how blinded it has become by the ideology of power,” said UAA president, Alim Seytoff in a statement from Washington, DC. Among the student protestors at Tiananmen in the spring of 1989 was a young Uyghur student, Örkesh Dölet (widely known by his Chinese name, Wu’er Kaixi). Wu’er Kaixi, who had been studying at Beijing Normal University, confronted Premier Li Peng on national television about the need for the central government to listen to the people and their demands for political and economic change. Following the government’s violent crackdown on demonstrators, Wu’er Kaixi’s name was the second on a list of 21 most-wanted student leaders of the Tiananmen protests. Since the massacre of unarmed protestors on Tiananmen Square in 1989, the Chinese party-state has continued to kill peaceful demonstrators, especially in ethnic minority regions. In East Turkestan, this includes state violence committed against Uyghurs on February 5, 1997 in Ghulja, July 5, 2009 in Urumchi and June 28, 2013 in Hanerik. In addition to its call for a transparent and international investigation into the Tiananmen Square massacre, UAA asks the democratic Chinese community to stand with Uyghurs in requesting Chinese government accountability for extrajudicial killings in East Turkestan. In order to combat misinformation about the Uyghurs in China’s state media, the Uyghur Human Rights Project launched a Chinese language website in 2013 as well as a Chinese blog to educate Chinese democrats about the shared aspirations of the Uyghur people. UAA hopes to build lasting bridges between the movements. UAA reminds the international community that silence on China’s state violence against unarmed citizens will be widely interpreted by the Chinese authorities as a license to crush the aspirations to freedom, democracy and human rights of all people in China. The preamble to the 1948 Universal Declaration of Human Rights states: “disregard and contempt for human rights have resulted in barbarous acts which have outraged the conscience of mankind and the advent of a world in which human beings shall enjoy freedom of speech and belief and freedom from fear and want has been proclaimed as the highest aspiration of the common people.” This statement on the universality of human rights applies as much to the authoritarian governments of 2014 as it did to the community of nations post-World War Two.